Tracee Ellis Ross & Issa Rae Bring the Sparkles to NAACP Image Awards 2018! Tracee Ellis Ross and Issa Rae walk the red carpet at the 2018 NAACP Image Awards at the Pasadena Civic Auditorium on Monday (January 15) in Pasadena, Calif. The ladies both stunned in sparkles for the annual event. Also in attendance were Issa‘s Insecure co-star Yvonne Orji, The Carmichael Show‘s Loretta Devine, Claws‘ Niecy Nash, and The Mayor‘s Yvette Nicole Brown. Tracee, Issa, Loretta, and Niecy are all nominated for Outstanding Actress in a Comedy Series while Yvette was up for Outstanding Character Voice-Over Performance and Yvonne was nominated for Outstanding Supporting Actress in a Comedy Series. FYI: Tracee is wearing a Narciso Rodriguez dress, a Tyler Ellis clutch, and Tiffany & Co. jewelry. Issa is wearing a Marc Jacobs dress and Tiffany & Co. jewelry. Jordan Peele flashes a smile alongside his stunning wife Chelsea Peretti while attending the premiere of his latest film Keanu held at the ArcLight Cinemas Cinerama Dome on Wednesday (April 27) in Hollywood, Calif. 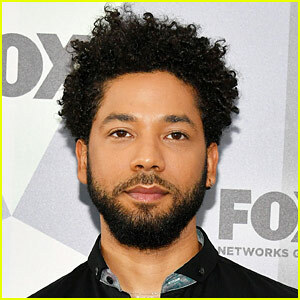 The 37-year-old actor was joined by his co-stars Keegan-Michael Key, Nia Long, Rob Huebel and Tiffany Haddish, as well as Emmy Rossum, Rob Thomas, Jane Lynch, Amber Stevens West, Loretta Devine, Alison Pill and boyfriend Joshua Leonard, Melissa Fumero, Terry Crews and wife Rebecca, and Christopher Mintz-Plasse, who all came out to show their support. Jordan and Chelsea, 38, recently revealed they got married and skipped having a big formal wedding. FYI: Chelsea is wearing a Style Runway jumpsuit, Brian Atwood heels, EF Collection studs, and carrying a Kotur clutch. Jordan is wearing a Todd Snyder suit, Rails shoes, an Armani tie, and a Hugo Boss shirt. Nia is wearing a Lanvin dress. Keegan is wearing a John Varvatos three piece suit and shirt. Joshua Jackson & Diane Kruger Heat Up the Hollywood Costume Opening Party! Joshua Jackson holds hands with his girlfriend Diane Kruger while walking the red carpet at the Academy of Motion Picture Arts and Sciences’ Hollywood Costume Opening Party on Wednesday (October 1) at the Wilshire May Company Building in Los Angeles. 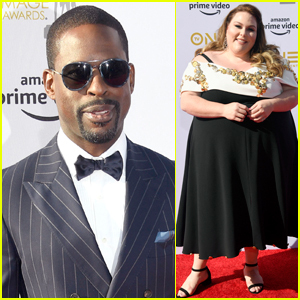 The 36-year-old actor and Diane, 38, were joined at the event by Michelle Monaghan, Kiernan Shipka, Rose McGowan, Loretta Devine, and stylist Brad Goreski. On the same day, Diane was spotted making her way back to her car in bright neon spandex after working out at the gym. FYI: Diane is wearing an Elie Saab dress, Osman blazer, Sophia Webster shoes, and Charlotte Olympia clutch. Michelle is wearing a Dolce & Gabbana dress, Christian Louboutin heels, Michael Kors clutch, and Sam Lehr jewelry. Kiernan is wearing a Valentino dress and shoes. Loretta Devine: NAACP's Best Supporting Actress in a Drama Winner! Loretta Devine keeps it flashy while attending the 2013 NAACP Image Awards held at the Shrine Auditorium on Friday (February 1) in Los Angeles. 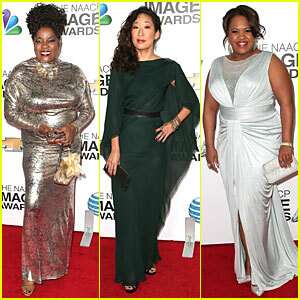 The Grey’s Anatomy actress was joined by her cast mates Sandra Oh, and Chandra Wilson. Loretta won Best Supporting Actress in a Drama Series for her work on Grey’s Anatomy, beating out Archie Panjabi, Joy Bryant, Lucy Liu, and Rutina Wesley. FYI: Sandra is wearing Julieri‘s Martha Graham ring.